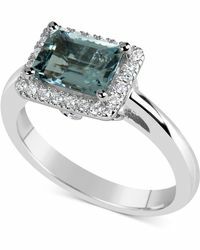 Refined and graceful, the understated glamour of a cushion-shape aquamarine is revealed in this beautiful ring enhanced with a glistening frame of round-shape diamonds. 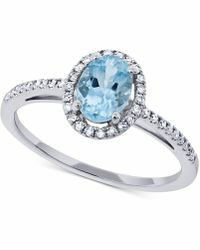 Aquamarine: 9-1/2 ct. T. W. Diamond: 3/8 ct. T. W. Gemstone shape: cushion. Set in 14k white gold. Approx gemstone dimensions: 16x12mm. After delivery, visit a Macy's store with your dated receipt and jewelry purchase to sign up. Boxes, or APOs. Almost all gemstones have been treated to enhance their beauty and require special care. 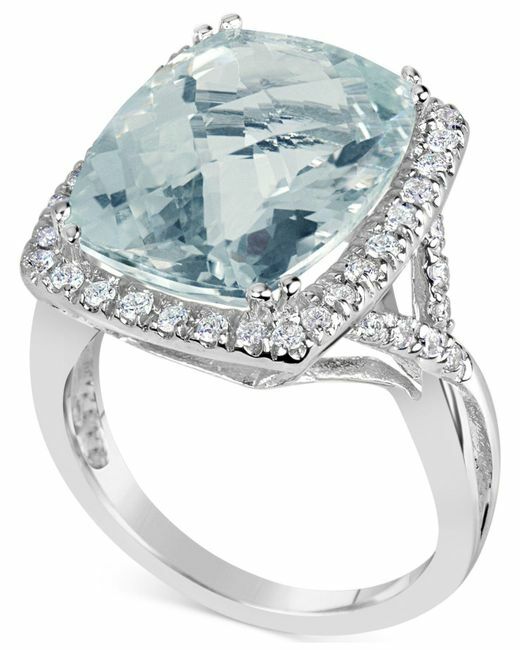 All gemstone carat weights (ct. T. W. If mentioned, are approximate; variance may be. 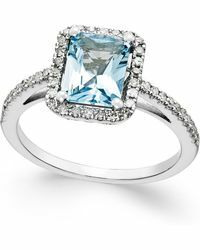 05 carat. If your specific ring size is not available online, custom ring sizing is available for free for most rings with the purchase of the Worry No More program in stores. Some rings cannot be sized due to the ring design.